...in which we demote the Asus RT-N66U. Faithful readers know about my efforts get reliable networking here at home (last post). I want IPv6 to work well, and I'd like all my devices to freely work together, with good Internet access. We took 2 steps forward, and then 1 back. IPv6 worked, but not reliably when I set up the Cisco DPC3941T for "bridging mode" and gave the routing function to the Asus RT-N66U. ICMPv6 packets were displaying lots of errors. We ran the house that way for about a month. Everybody was happy (in an IPv4 way), but there was one significant problem. 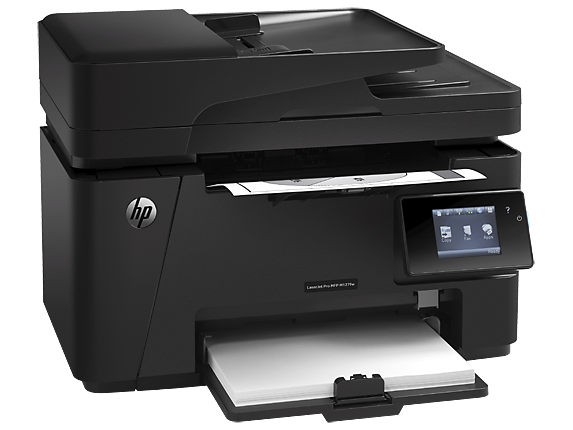 Our HP LaserJet Pro MFP M127fw printer was not working reliably. This is an "all in one" B&W laser printer / scanner / fax system offering lots of capability for a reasonable price. It offers WiFi, Ethernet, or USB interfacing. Everything works fine on Windows. After a detour through HP's website, it works on Linux, too. It works with Google's Cloud Print service, and HP's ePrint. It worked for a while, but then would go catatonic and refuse new jobs after a period of minutes or hours. You could always get it back by cycling the AC power. We lived with this for some time, but it's pretty annoying to start a print job from the other end of the house, only to find out later that it did not go through. So we tried a lot of tricks, adjusting the printer's setup, the router's setup, and even the Linux driver installation. (The problem showed up with either Linux or Windows.) We updated the printer's firmware. We tried both WiFi and Ethernet connections. Cut to the chase. Eventually we cut out the Asus router, and there was progress. 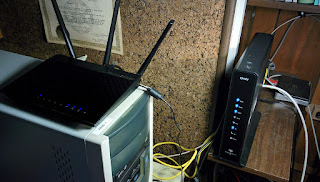 Using the Cisco/Xfinity/Comcast router by itself, the printer worked -- and IPv6 worked, too! It is clear that the Asus/Cisco combination (if not the Asus alone) is problematic for HP and IPv6. For the moment, printing works, IPv6 works, and we will stop there. The problems we had originally with Xfinity's DHCP and other issues of that sort are still there, but overall it's time to relax.